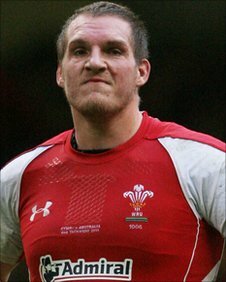 Wales have been dealt a huge Six Nations blow with prop Gethin Jenkins ruled out of the entire tournament. The Cardiff Blues loose-head will undergo surgery on Wednesday to rectify a toe injury and be out for 12 weeks. The British and Irish Lions star will miss the Six Nations but be fully fit for Blues' Magners League title run-in and Wales' Rugby World Cup campaign. 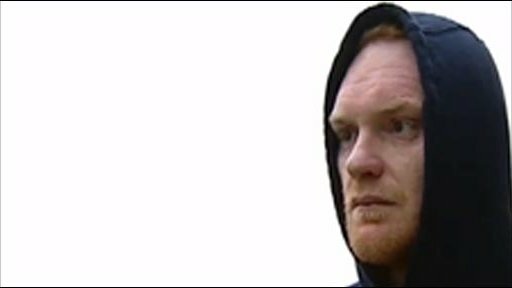 "It is a massive blow to replace Gethin Jenkins for the Blues and Wales," Blues coach Dai Young told BBC Sport. The double Grand Slam-winner, who also missed the start of last season's Six Nations, is a key man for Wales and is set to be replaced by Ospreys loose-head Paul James. Wales coach Warren Gatland is already without banned scrum-half Richie Rees for the entire Six Nations while teenage Scarlets wing George North will miss the start of the Championship with a shoulder injury. Ospreys wing Shane Williams is facing a race against a time to be fit for their Six Nations opener with England at the Millennium Stadium on 4 February as Wales' record try-scorer recovers from shoulder surgery. Wales full-back Lee Byrne is expected to return from a fractured thumb for the Ospreys' Heineken Cup clash with London Irish on Sunday while fly-half Stephen Jones returned for the Scarlets in their Magners League win at Edinburgh on Saturday. So just as Gatland was hoping for a clean bill of Welsh health ahead of the Six Nations, Blues coach Young confirmed that Jenkins will be up for between 10 to 12 weeks. Jenkins will also miss the Blues' final two Heineken Cup pool games with Castres and Edinburgh but the Welsh region cannot qualify for the knock-out stages of Europe. James will hope to win his 18th Wales cap against England in Cardiff alongside fellow Ospreys prop Adam Jones, the Lions tight-head, but faces competition from club team-mate Duncan Jones. The 30-year-old is one of Gatland's world-class players so his absence will be a massive blow for Welsh chances at this season's Six Nations. Jenkins has been troubled by his toe injury for some time and surgery was inevitable, but Wales and the Blues had to decide when the double-Grand Slam winner was to go under the knife. It has been decided that Jenkins will miss the Six Nations so the 76-times capped Welshman will be fully fit for the Blues' Magners League title run-in and Wales' Rugby World Cup campaign starting in September. "He has struggled with his toe injury for a long time and it has caused him problems in his calf," said Young. "He has managed to get through as much of the season as he can but feels that he needs to get it done sooner rather than later. "So unfortunately he is booked in to have the toe operated on which will put him out for three months. "It is the end of his Six Nations but we all agreed it is better that he missed the Six Nations and be fully-fit for the World Cup - that is the bigger picture. "Gethin was getting more and more frustrated because he couldn't do the training he would like and that had an impact on his performance - although he was playing to a high standard."